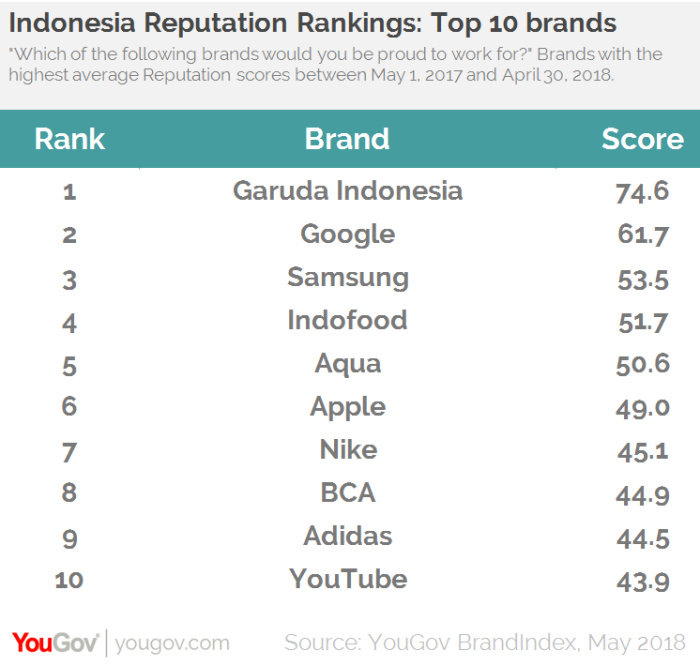 Garuda Indonesia has come up top as the brand that people in Indonesia would be proudest to work for, according to new analysis from YouGov BrandIndex on its Employer Reputation rankings. In the ranking, Garuda scored 74.6, with Google coming in second at 61.7. Brands which also saw a marked improvement in their scores include ABC which increased by 13.1 points. This is followed by Samsung which saw an increase in score of 11.0 and Philips at third place, which saw a positive change in score of 8.9. Rounding off the top five is Lion Air (7.4) and Apple (iPhone/iPad) at 7.3 points. 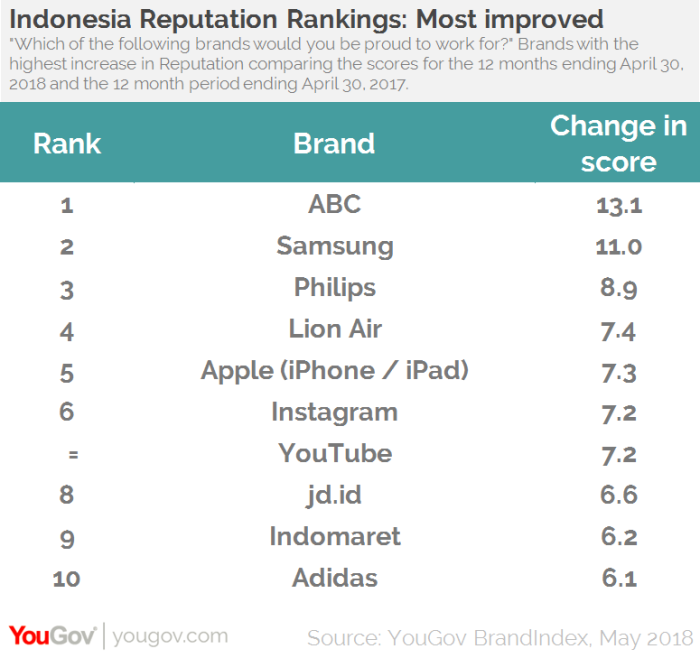 Meanwhile, companies such as Instagram, YouTube jd.id, Indomaret and adidas also made the top 10. View the full ranking here. The ranking were derived by YouGov, which surveyed people in Indonesia whether they would be proud or embarrassed to work at 663 brands. The helped to form a brand’s “Employer Brand Reputation” score. The rankings were based on a year’s worth of data to 30 April 2018. Facebook users on Android are now able to choose if they want Facebook to collect location information when they’re not using the .. Despite all the focus on mobile, there continues to be a significant gap between the amount of time spent on mobile devices and th..